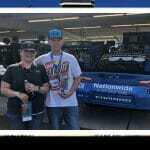 The Monster Energy NASCAR Cup Series™ made its way to Arizona for the Can-Am 500 at Phoenix Raceway on November 12, 2017. 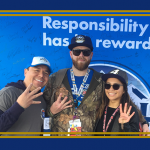 Before the green flag waved, 112 fans at the track took the opportunity to earn valuable rewards by taking a responsibility pledge to prevent drunk driving. 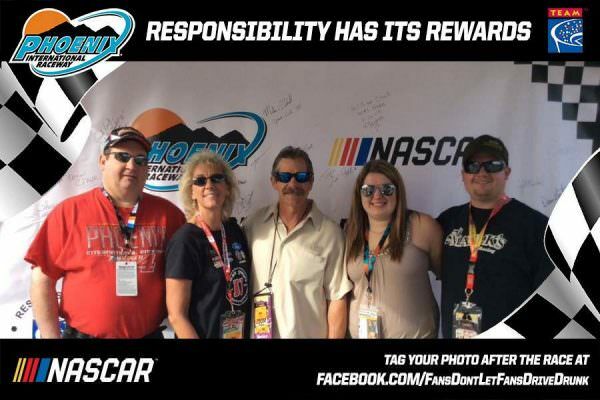 The race marks the sixth race that TEAM has promoted responsibility with the track and NASCAR. 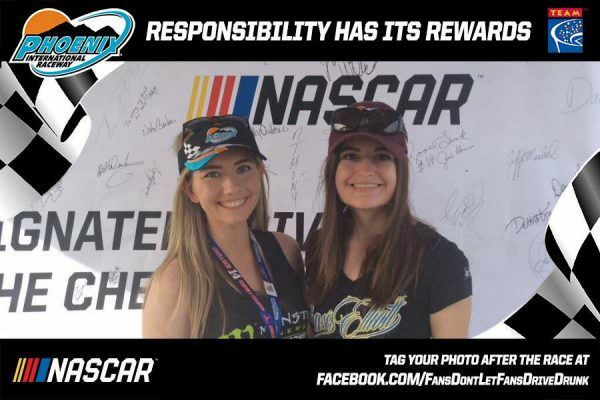 The responsibility pledge is a promise to not drink alcohol at the event and serve as the designated driver for their group. 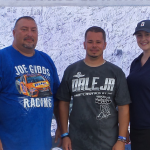 All of the fans who participated autographed the responsibility wall, received a free souvenir photo and instant prizes, and entered for a chance to be selected as the Designated Driver for the Race. 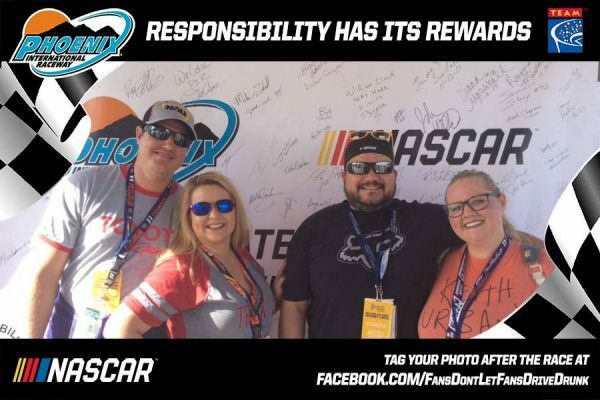 One randomly selected, responsible fan will win the “Responsibility Has Its Rewards sweepstakes.” The grand prize includes two tickets and a VIP experience for two at the spring race at Phoenix Raceway on March 11, 2018. 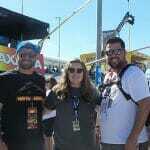 The Designated Driver for the Race from the 2016 Camping World 500, Jackie O’Donnell, received a pair of tickets and a behind-the-scenes experience for herself and her guest before the Can-Am 500.